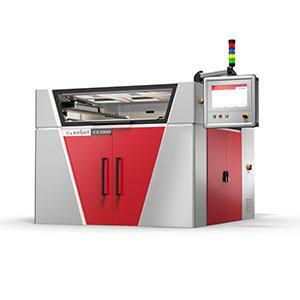 VOXELJET AG, Mechanical engineering - custom work, Model making, Additive manufacturing, on EUROPAGES. 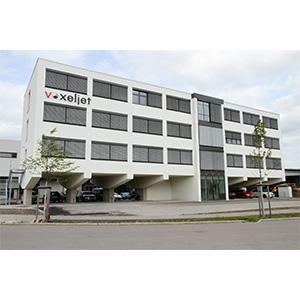 voxeljet is a leading manufacturer of industrial 3D printing systems for the toolless production of molds and models for various applications and operates service centers in Germany, the United States, the U.K., India and China. 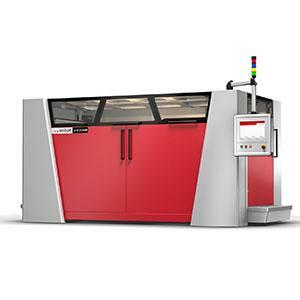 Whether foundries, mechanical engineering, model making or other demanding industries: voxeljet offers the the perfect machine with the right performance features for many industrial requirements. Our product portfolio ranges from a compact research system to 3D-printing systems for large-format production - their versatile capabilities deliver consistently and uncompromisingly high quality. 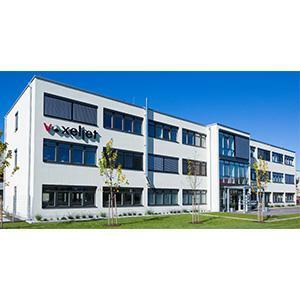 As an industrial partner for digital production, voxeljet offers on-demand production of moulds and models worldwide. 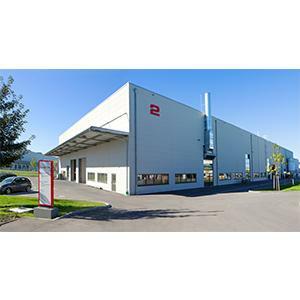 In advanced service centers we realize your 3D project based on CAD data in optimal quality. You have the task - we have the know-how, the experience and the capacity to produce your prototypes and small series quickly and cost-effectively. Even shapes with complex geometries can be realized with virtually no restrictions. Our customers include renowned companies from the automotive industry and its suppliers, foundries, design departments and artists. The VX4000 is the world's biggest industrial 3D printing system for sand molds including the cohesive build space of 4,000 x 2,000 x 1,000 mm (LxWxH). The voxeljet Phenolic-Direct-Binding Process delivers outstanding results in a wide range of applications. Plastic models printed by voxeljet are used in the investment casting process as lost models and can be treated like a wax pattern. This video explains the full process of rapid prototyping and sand casting offered by voxeljet and Wolfensberger. 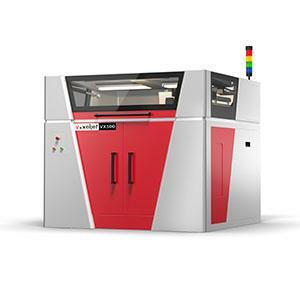 voxeljet High Speed Sintering (HSS) process enables the tool-less production of functional prototypes and end user parts and sets new standards for rapid prototyping. 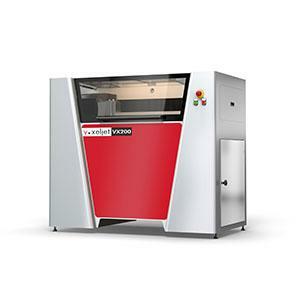 The VX200 is the compact 3D printing system within the voxeljet range. Complex parts and molds can be produced quickly and cost-efficiently in just a short period of time.